Serenity came from Carol Lewis's American Saddlebreds seized in 1999 by the Cabarrus County Sheriff Department. After all the dead were counted, Serenity was one of the 29 still standing. This is part of her story as told by her friend, Deanna. HPS was looking for volunteers to handle a large herd of horses seized by the county. At the time, I was green, green, green and a danger to myself. When I joined HPS, Joanie taught us new volunteers how to catch horses for farrier and vet visits, pictures for court, etc. Well, these were American Saddlebreds and what was worse, they had been mishandled, neglected, and abused for years. During this time, I learned from Joanie how to handle horses with truly broken spirits. This was not easy. I still remember my first day there, it was beginning to rain and Joanie was bringing in the worst who needed shelter. There was a white horse who Joanie asked me to help her come in and I still cry for her. She was foundered and had horrendous abcesses on her body; we would have to put her down soon but that day she wanted to live. Almost walking on her knees, she came into the barn. 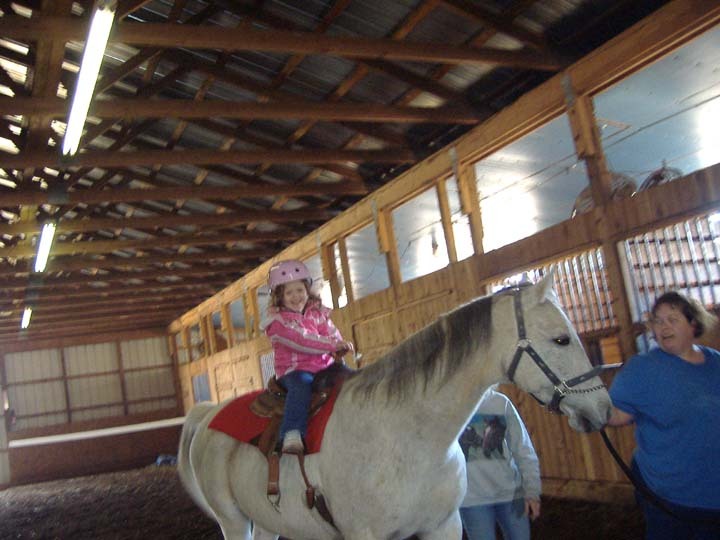 Serenity was one of these terribly abused horses. She was an angry creature--there's no other way to say it. She would let people walk up and pet her then she would pin her ears, do a 180-degree turn, and nail 'em. She would even attack people in her field that didn't approach her. She was angry with life. My heart broke for Serenity. I could see the intelligence in her eyes. So what, she was angry, I'd be angry, too. It took me a few more years of therapy to understand that is why I related to her so well, we were both throw aways, and I wanted something better for her. I went through the process to "adopt" Serenity. I even boarded her on HPS property for a while just to be sure I wasn't in over my head. She kicked me a few times and I got up and handled it. One day some children were in the barn and they upset her so she kicked me through the barn door. I landed squarely under Dakota which was worse because he wasn't known for his gracefulness. Soon, we moved to a boarding facility and our relationship grew unbelievably. Because of her background she had her own pasture and run. She couldn't go in with the other horses because she was still attacking. I visited her every day, rain or shine, and brushed her and picked her pasture, and that is what I think made us. See, I was and am still the one constant in her life for the last 10 years. She loves me and I love her. She nickers when I walk into the barn. When she is in the field, she runs up to me at the fence line. I took care of her when she was sick: 1 abcess in the foot, 2 cases of mastitis (old brood mare's often get this) and a bout of pneumonia. I bought another horse, Sea, to ride and went through the process of losing her to founder. She grief foundered when her pasture mate was put down and just never got better. A year and a half later when her tendons atrophied and there was talk of surgery, I made the decision to put her down. I was heartsick. That was the hardest decision I've ever made. Suddenly, I understood what Joanie goes through. By the way, my heart has healed and I have purchased another horse, Dare. But Serenity comes first and she lets both Dare and I know it. I never lay hands on Dare until Serenity is brushed and petted and walked. Those are Serenity's rules to live by for a happy barn.